Philips has announced its new Xenium series mobile phone named as Philips X630, which features 2.4-inch QVGA screen that able to display more than 262k colors, 3.2 megapixels camera, and built-in FM tuner. The Philips X630 comes with a battery 1530 mAh where battery life capable of lasting up to 12 hours in talk-time and up to 50 days for stand-by time. In addition, the X630 also comes with elegant design of digital keyboard, Bluetooth with A2DP, and USB 1.1 slot. Apart from that, the phone does not support 3G mobile communications, it only work in GSM network. Another interesting features of the new Philips X630 is it support micro SD memory card up to 8GB to supplement the pitiful 80MB internal memory. 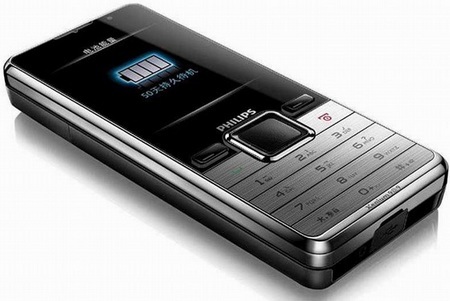 The Philips X630 mobile phone measures just 111.8 x 48.9 x 15.1 mm and weighs only 118.3 grams but the price and launched date have yet to be announced.